NIUE 7 Dollars 2015 – 7 nouvelles merveilles du Monde – 217,70 g Argent 999 Proof (avec 7 cristaux Swarovski situés sur les lieux des merveilles) – 1007 exemplaires – diamètre 34 mm – prix ignoré. Existe en finition antique (3ème photo). 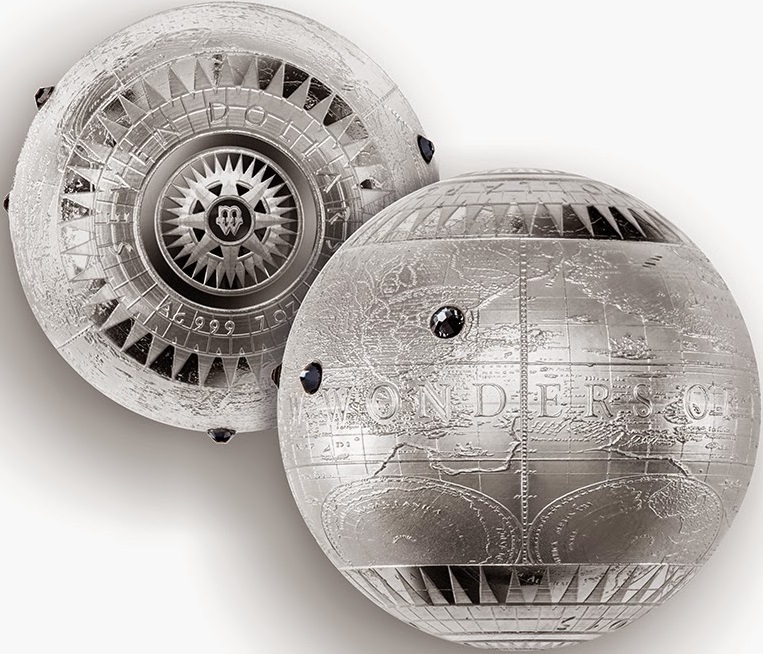 NIUE 7 Dollars 2015 – New 7 wonders of the World – 7 oz 0.999 silver Proof (with 7 Swarovski crystals located on the places of the wonders) – mintage 1,007 – diameter 34 mm – unknown price. Antique finish exist (3rd photo). 3ème pièce de la série des histoires bibliques. 3rd coin of the biblical stories serie. 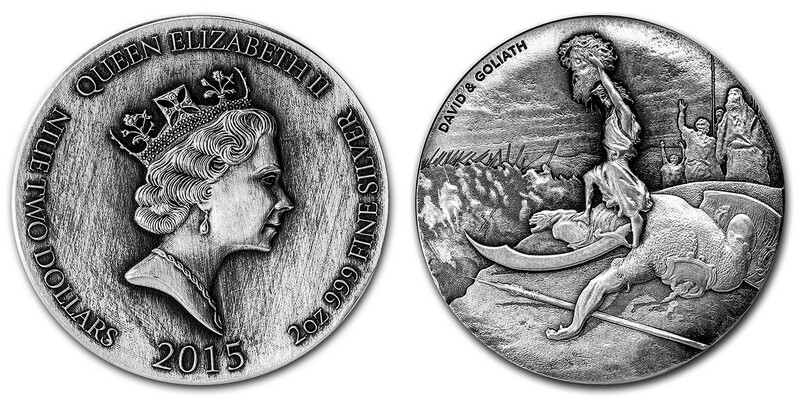 NIUE 2 Dollars 2015 – David & Goliath – 62,2 g Argent 999 finition antique gravure en haut relief) – 1499 exemplaires – diamètre 39 mm – prix ignoré. NIUE 2 Dollars 2015 – David & Goliath – 2 oz 0.999 silver antique finish (high relief) – mintage 1,499 – diameter 39 mm – unknown price. 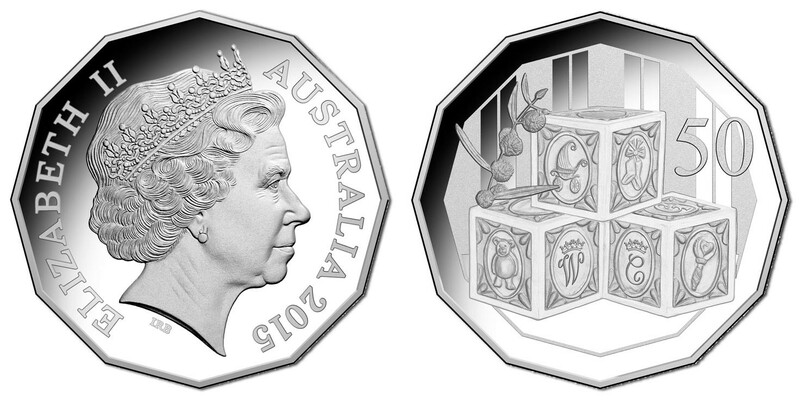 AUSTRALIE 50 Cents 2015 – Bébé royal – 18,24 g Argent 999 Proof – 5000 exemplaires – diamètre 31,51 mm – prix 54 euros. AUSTRALIA 50 Cents 2015 – Royal Baby – 18.24 g 0.999 silver Proof – mintage 5,000 – diameter 31.51 mm – price $61. TRANSNISTRIE 5 Roubles 2015 – 70ème anniversaire de la grand victoire – 13,87 g Argent 925 Proof-like – 500 exemplaires seulement – diamètre 32 mm – prix ignoré. TRANSNISTRIA 5 Rubles 2015 – 70th anniversary of the great victory – 13.87 g 0.925 silver Proof-like – mintage 500 pcs only – diameter 32 mm – unknown price. 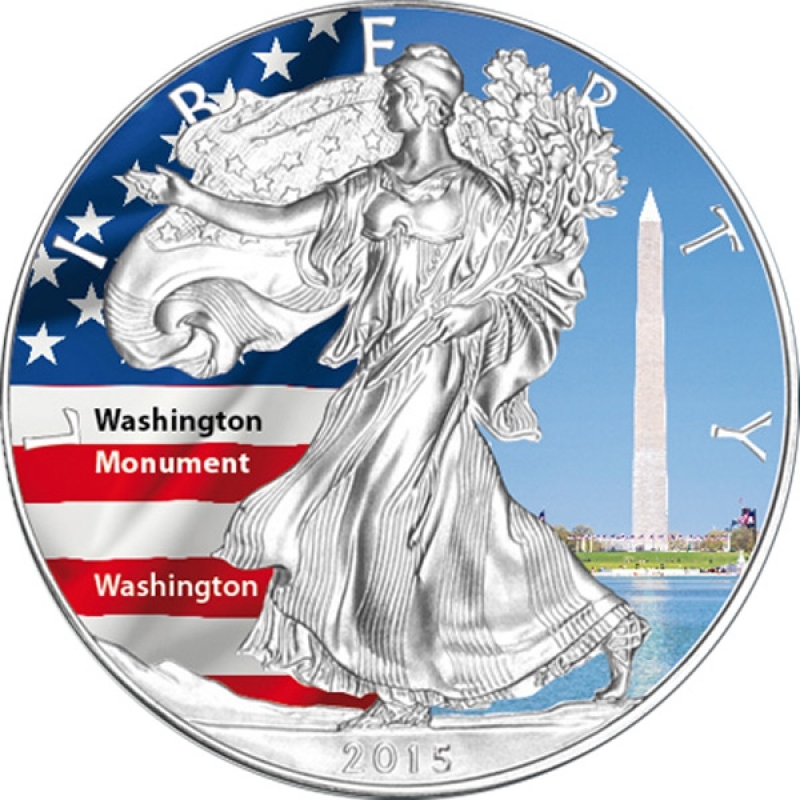 ETATS-UNIS 2 x 1 Dollar 2015 – Eagle – Space Needle de Seatlle et Washington monument – 2 x 31,1 g Argent 999 UNC – 5000 exemplaires – diamètre 40,6 mm – prix environ 30 euros. 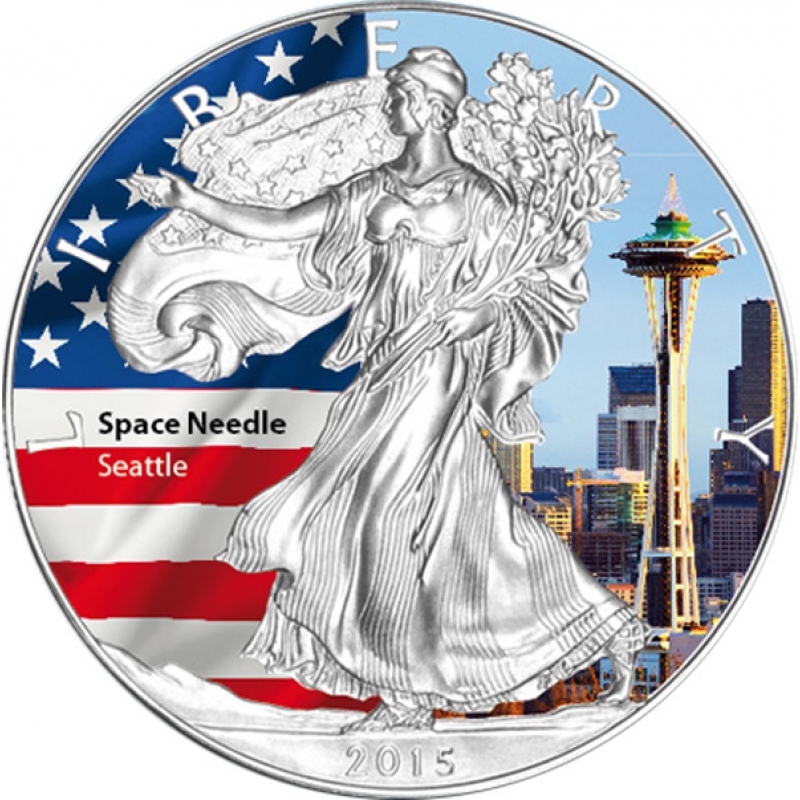 UNITED STATES 2 x 1 Dollar 2015 – Eagle – Space Needle Seattle & Washington Monument – 2 x 1 oz 0.999 silver UNC – mintage 5,000 – diameter 40.6 mm – approx. price $34. ITALIE 10 Euro 2015 – Centenaire de la première guerre mondiale – 22 g Argent 925 Proof – 5000 exemplaires – diamètre 34 mm – prix 60 euros. 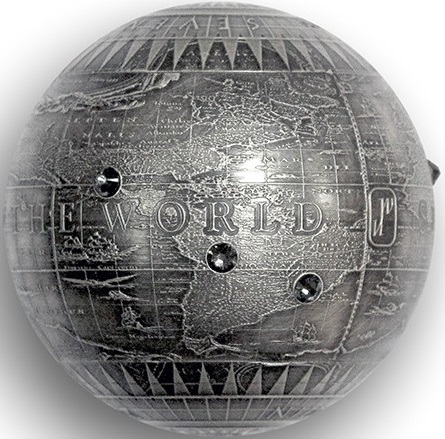 ITALIA 10 Euro 2015 – Centenary of the first World War – 22 g 0.925 silver Proof – mintage 5,000 – diameter 34 mm – price $68. SUISSE 20 Francs 2015 – Le Hornuss – 20 g Argent 835 Proof – 5000 exemplaires – diamètre 33 mm – prix 53 euros. 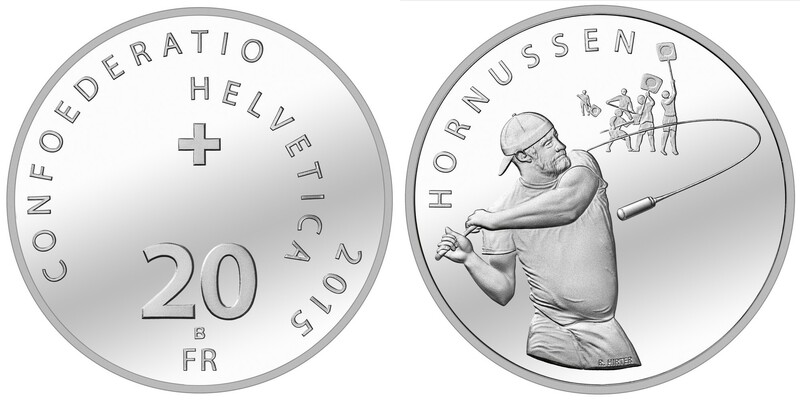 SWITZERLAND 20 Francs 2015 – The Hornuss – 20 g 0.835 silver Proof – mintage 5,000 – diameter 33 mm – price $60. LETTONIE 5 Euro 2015 – 150 ans de lutte contre les incendies – 22 g Argent 925 Proof – 10 000 exemplaires – diamètre 35 mm – prix 36 euros. LATVIA 5 Euro 2015 – 150 years of firefighting in Latvia – 22 g 0.925 silver Proof – mintage 10,000 – diameter 35 mm – price $41. THAILANDE 800 Baht 2015 – 60ème anniversaire de la princesse Sirindhorn – 22 g Argent 925 Proof – 50 000 exemplaires – diamètre 35 mm – prix ignoré. THAILAND 500 Baht 2015 – 60th birth anniversary of Princess Sirindhorn – 22 g 0.925 silver Proof – mintage 50,000 – diameter 35 mm – unknown price. ILE DE L’ASCENSION 1 Crown 2015 – Naissance de la Princesse Charlotte – 28,28 g Argent 925 Proof – 10 000 exemplaires – diamètre 38,6 mm – prix ignoré. ASCENSION ISL 1 Crown 2015 – Princess Charlotte – 28.28 g 0.925 silver Proof – mintage 10,000 – diameter 38.6 mm – unknown price. ILES VIERGES BRITANNIQUES 10 Dollars 2015 – Naissance de la Princesse Charlotte – 28,28 g Argent 925 Proof – 10 000 exemplaires – diamètre 38,6 mm – prix ignoré. BRITISH VIRGIN ISL 10 Dollars 2015 – Princess Charlotte – 28.28 g 0.925 silver Proof – mintage 10,000 – diameter 38.6 mm – unknown price. GHANA 5 Cedis 2015 – Gorille – 31,1 g Argent 999 finition antique – 500 exemplaires seulement – diamètre 40 mm – prix environ 70 euros. GHANA 5 Cedis 2015 – Gorilla – 1 oz 0.999 silver antique finish – mintage 500 pcs only – diameter 40 mm – approx. price $79. TOKELAU 2 Dollars 2015 – Madone noire – 50 g Argent 999 Proof – 1000 exemplaires – taille 60 x 40 mm – prix ignoré. 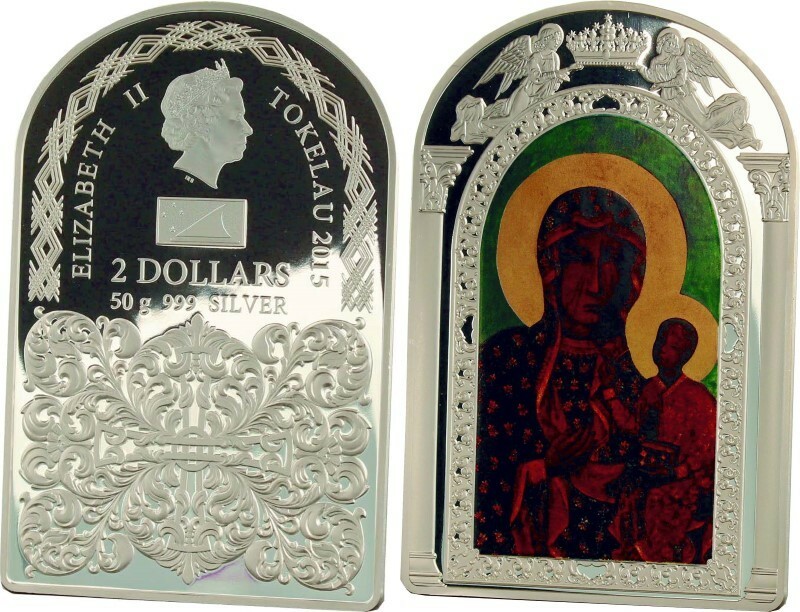 TOKELAU 2 Dollars 2015 – Black Madonna – 50 g 0.999 silver Proof – mintage 1,000 – size 60 x 40 mm – unknown price. FRANCE 10 Euro 2015 – Soleil Royal – 22,2 g Argent 900 Proof – 3000 exemplaires – diamètre 37 mm – prix 55 euros. FRANCE 10 Euro 2015 – Soleil Royal – 22.2 g 0.900 silver Proof – mintage 3,000 – diameter 37 mm – price $42. FRANCE 50 Euro 2015 – Soleil Royal – 163,8 g Argent 950 Proof – 250 exemplaires seulement – diamètre 50 mm – price 435 euros. FRANCE 50 Euro 2015 – Soleil Royal – 163.8 g 0.950 silver Proof – mintage 250 pcs only – diameter 50 mml – price $488. La 3ème de la serie biblique me tente beaucoup… Elle a l’air vraiment splendide !